3D-Printing Methods: Which One Is Right for Your Project? Call it the ultimate disruptive technology. 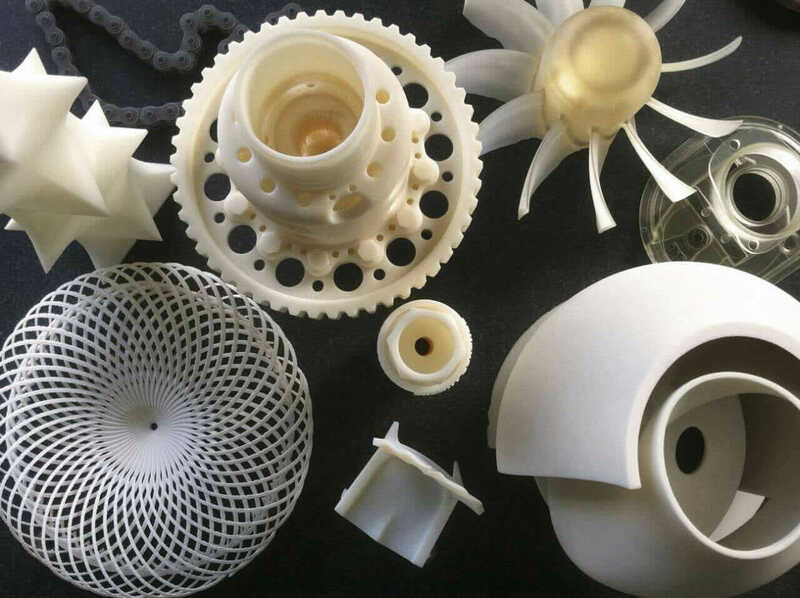 Even in its infancy, 3D printing has made designers take notice, not least because of its promise to transform industries and remake manufacturing. Industry watchers even called the process “Wal-Mart in your hands” due to its range and potential. Fashion, food, aeronautics, medicine, construction, device manufacturing—this technology isn’t just changing how certain things are made; it’s changing how things are made in general. This hype has primed the market for rapid growth, with sales of 3D-printing machines predicted to grow 500 percent in five years. But before getting swept up in the excitement, those looking to purchase a machine or use a service to 3D print need to do their research. Despite the freedom inherent in the technology, the wrong machine can saddle you with unnecessary expenses or hobble your ambitions. Hobbyists and professional designers should consider the size and specificity they want in their creations, which correspond to the build area (the size of your machine’s workspace, which limits the dimensions of the final product) and the feature resolution (the smallest movement a printer can make within a specific layer). As different machines have specific strengths, it’s as important to understand the various 3D-printing methods as to honestly consider your budget and scope of use. Are you a tinkerer or designer? Fused filament fabrication (FFF) printers work by extruding a strand of molten plastic thread to shape and build an object. Also referred to as fused deposition modeling, this technology works like a spider spinning a web. The main advantages of these machines are ease of use and affordability. The raw material—strands of plastic filament—is relatively cheap, and basic models run around $300, though that means a small build area, a single nozzle, and a simple software setup that will limit the complexity of your creations. They’re the standard, entry-level printers for hobbyists. The build process proves useful for prototypes and even crafts, especially if you’re willing to jump from, say, a basic Printrbot Simple ($599) to an Ultimaker 2 ($2,500), which provides a larger build area and higher resolution. But FFF’s strengths are also its weaknesses: Starting with low-cost material leads to lower-quality parts; it’s not as accurate as more expensive methods; and using filaments limits most printers to a single color at a time. Compared with more expensive models, production speed, flexibility, and surface finish are often sacrificed. Stereolithography (SLA) builds parts or objects layer by layer, tracing out a thin pattern of resin, zapping it with an ultraviolet laser to harden it, and then repeating sheet by sheet until the final shape has been formed, with each laser pulse binding the new layer to the one below it. The parts come out stronger and sturdier than those made using FFF. They can often work for injection molding or metal casting (though occasionally they need to be manually cleaned after they’ve been printed). This higher degree of strength and accuracy makes SLA machines ideal for those seeking to make artwork, professional models and prototypes, and even medical and dental devices. In addition to cost ($2,000 to $4,000 for the first tier of SLA machines), the layering approach has other drawbacks. Material cost can be prohibitive whereas the lengthier build process restricts flexibility. 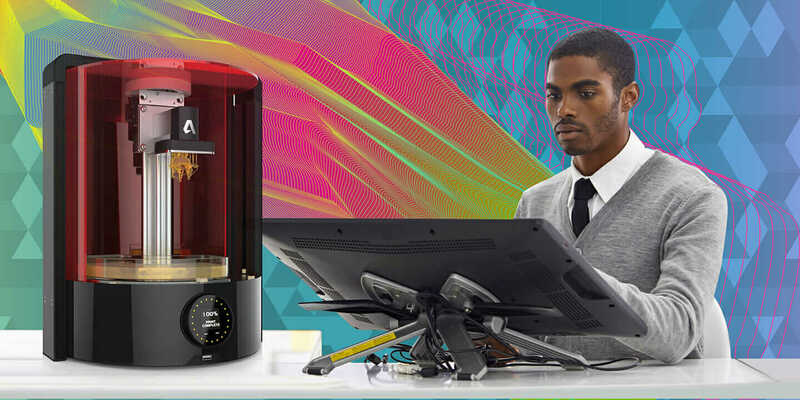 In higher tiers of SLA machines (such as the Autodesk Ember DLP SLA printer [$5,995] with its open-platform software, Spark), the build time is faster, and the resolution detail is finer. 3D-printing methods are game changing. Selective laser sintering (SLS) turns loose material into a compacted shape via sudden, intense heat; in this case, it’s transforming powder-like, nylon-based plastic into a solid mass with a high-powered laser. A relatively new and more expensive technology, SLS is by far the most accurate 3D-printing method. It’s such a step above even SLA machines that it can create custom colors and make production-ready parts and high-end medical devices such as hearing aids and dental retainers. The downsides, however, are time and money. These machines are cost-prohibitive for many users, including some small companies, and many start north of $10,000. For perspective, the Sintratec is more than $5,000; the Norge Systems Ice1 and Ice9 are $13,000 and $34,000, respectively; and high-end professional machines range from $250,000 (EOS Formiga P110) to $850,000 (3D Systems sPro 230). 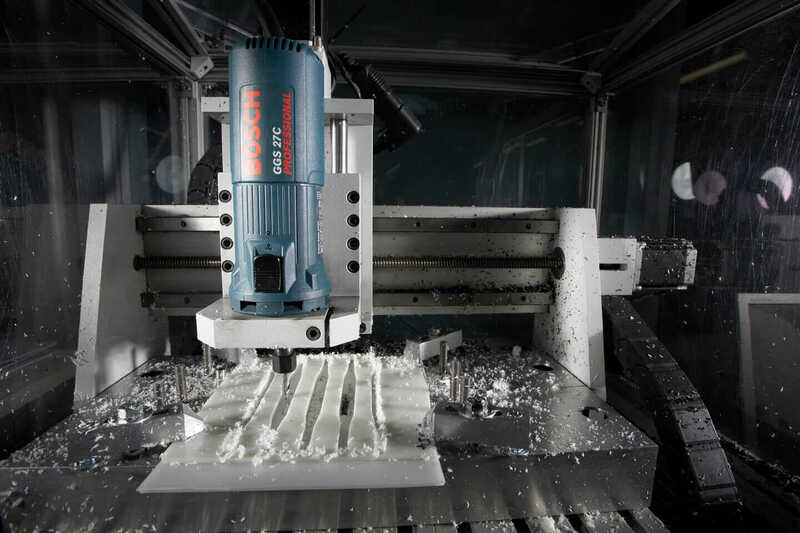 It’s also important to consider computer numerical control, or CNC router and milling machines. 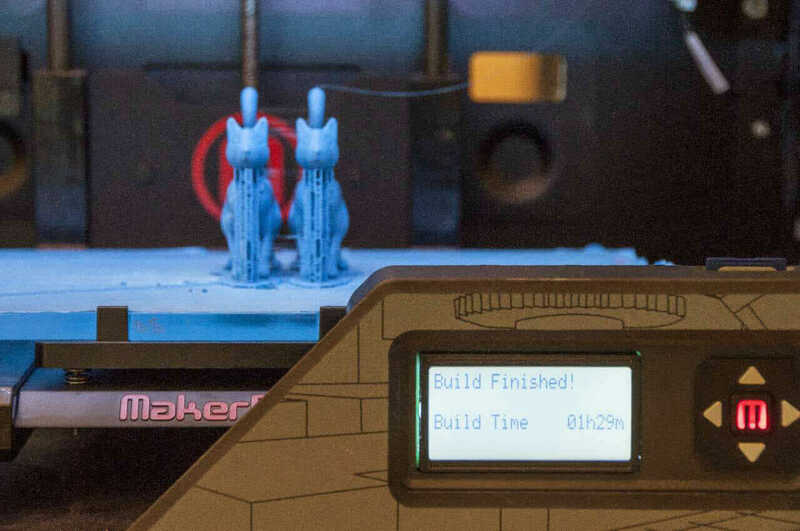 Although they’re technically not 3D printers—rather, they’re subtractive cousins to 3D printers and additive manufacturing—they may make the most sense to use, depending on your project. They work like a sculptor, starting with a block of material and cutting away to form the final shape. The cutting process means certain shapes (such as internal voids) can’t be achieved, and cleanup can be a hassle. But the range of potential materials in play—from wood and metal to plastics and acrylic—offers incredible range, and the finished product is strong. Prices range from as low as $600 all the way up to industrial machines costing more than $150,000. Examples include the compact Othermill ($2,199), PRSalpha 120-60 with 12-inch Z axis ($23,525), and the Baileigh Industrial WJ-58CNC Waterjet Cutting Machine ($123,585). There’s a ton more to learn more about methods, use cases, and pros and cons of additive and subtractive manufacturing. How’d you like to have a handy at-a-glance 3D-Printing Methods Guide that you can print and put on your wall? Or a 3D-Printing Methods slide deck that further demystifies the various machine types and what they can do? Continue the journey, and find out which machine is best for your project. Happy making!